Lewes FC Women are delighted to welcome Jess King to the Dripping Pan, just in time for the FA Cup match away to Millwall. 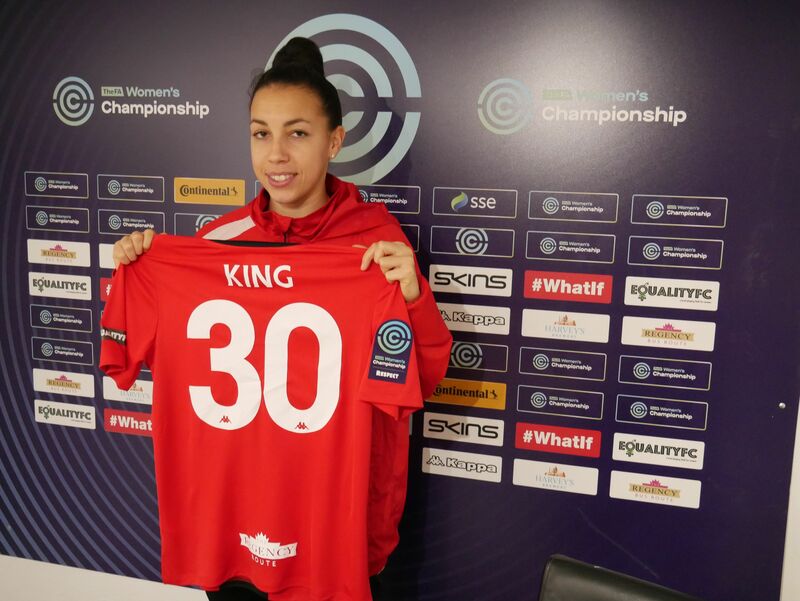 Jess King, an experienced striker, has joined Lewes FC Women from Norwegian team Kolbotn. Prior to her time in Norway, the 27-year old was playing her football abroad, in Germany for FF UPS Jena and before that in Switzerland for FC Basel. Jess had her football education between the ages of eight and eighteen with Liverpool LFC and spent a season with Everton. Manager Fran Alonso said: "We are really excited to be able to bring a player of Jess's experience and quality into the team. We are building a squad that can challenge for the Super League. It will take some time, but bringing Jess here shows how serious we are about it." Jess added: "The first conversation I had with Fran about how he wants us to play, I was very excited about and that was one of the big things that drew me to make my decision."